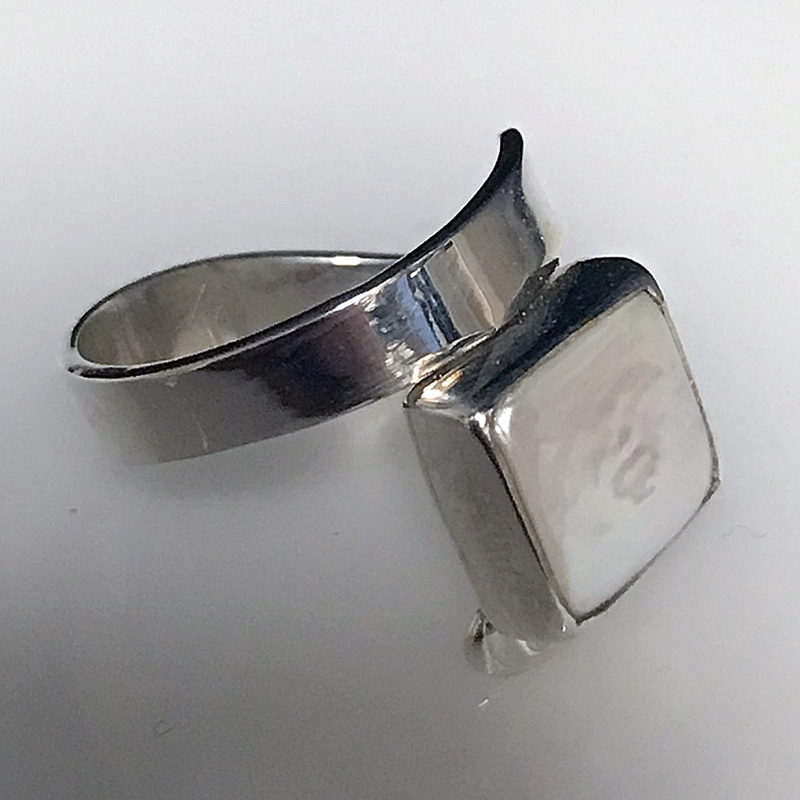 Designer Jewelry - This is a beautiful petite sterling silver ring handcrafted featuring a freshwater cultured white square pearl (10mm). This unique ring is adjustable for easy sizing. This is an original designer style petite ring that is beautifully handcrafted. 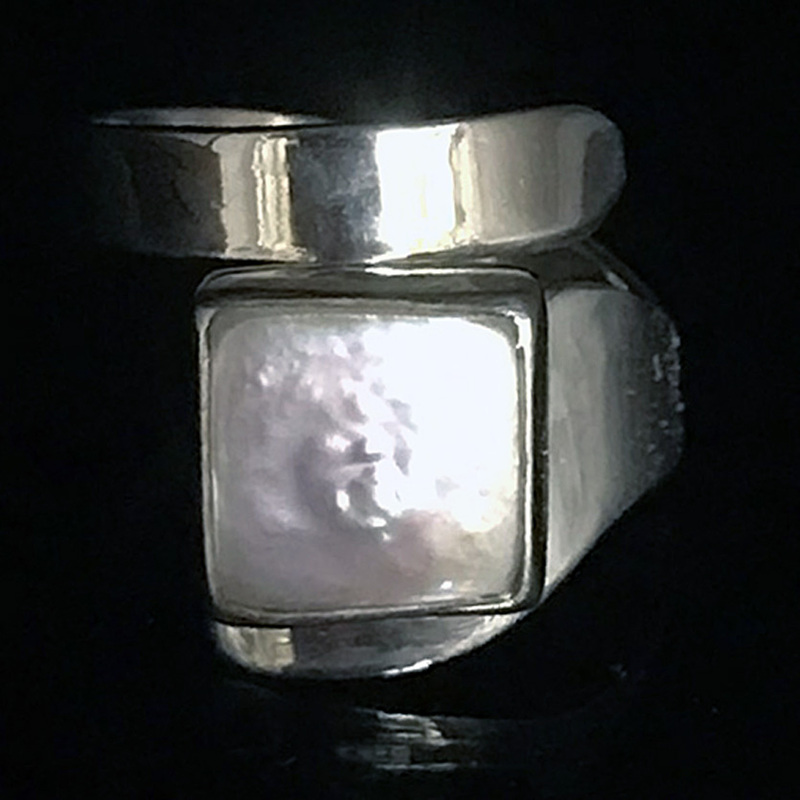 This sterling silver ring features a freshwater cultured white square pearl. 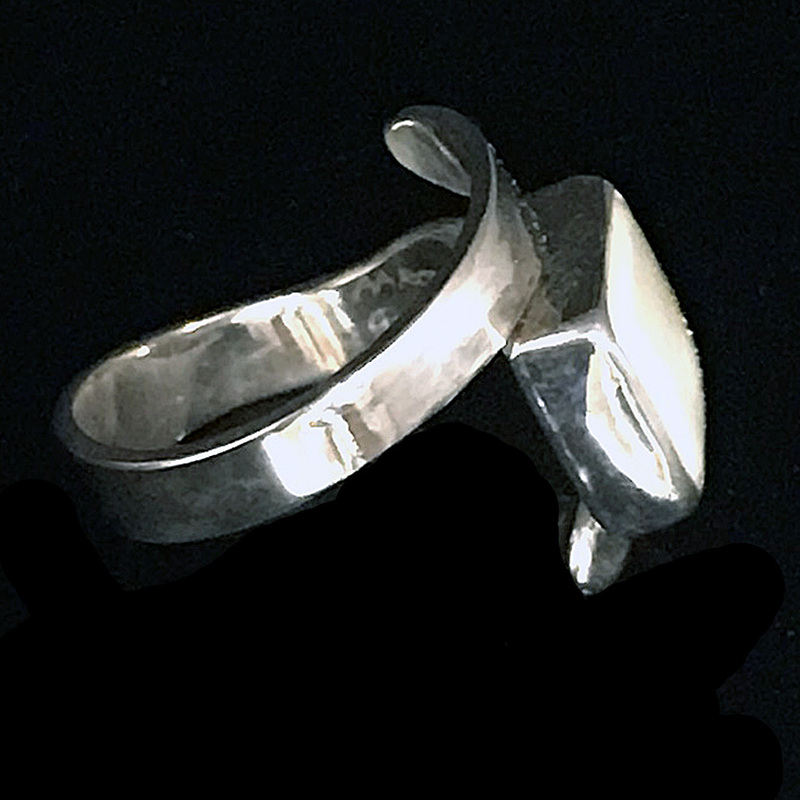 Because of this ring's unique design, the shank is adjustable for easy sizing. This ring will make a statement on its own or as part of a set and complements all of our jewelry collections. Shank in the back is 4.5 mm wide. The Pearl is approximately .41" wide (10.4 mm).